With the Pharm.D. 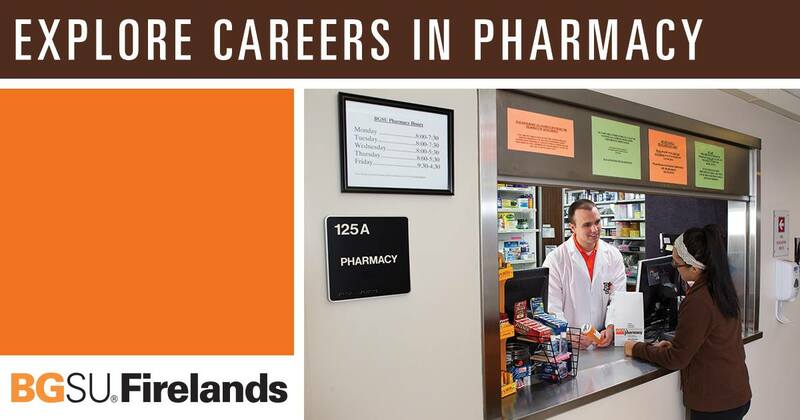 Early Assurance Program, students can complete the first two years of the University of Findlay’s Doctor of Pharmacy Program at BGSU Firelands, and be guaranteed acceptance into the professional phase of Findlay’s College of Pharmacy as a junior. Learn more about the Pharm.D. Early Assurance Program at BGSU Firelands here.